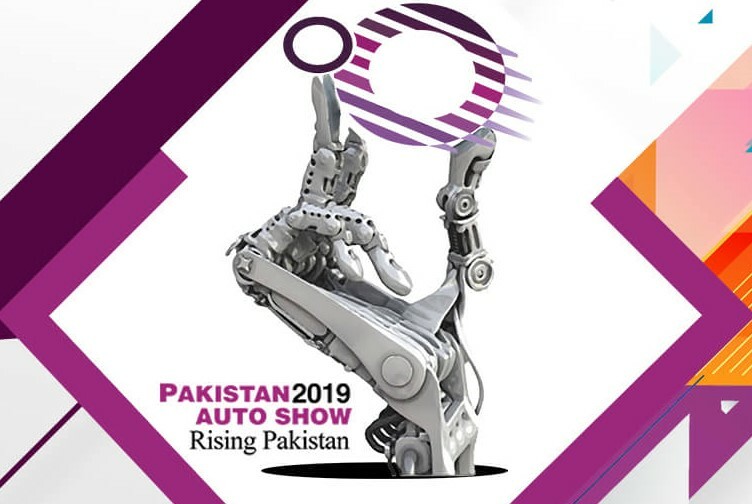 KARACHI: Pakistan Auto Parts Show (PAPS) 2019 preparations have been finished and has kicked off. PAPS A premier annual auto industry event, to be held for 3-day at the Expo Centre Karachi from Friday. "The Pakistan Auto Show 2019 is the pioneering trade exhibition for the rapidly developing automotive aftermarket in Pakistan. The show is undisputedly the country’s largest gathering of leading auto parts suppliers and auto service providers from all over the country, covering the full range of motor vehicles parts as well as components for the drive, chassis, body, electrics and electronic groups, as well as equipment for vehicle service and repair, bodywork repair and painting, tyres & batteries." Along with various companies 3 universities are also taking part in the event. Also procurement departments of Pakistan Railways, Pakistan International Airlines (PIA) and Pakistan Army have been invited to evaluate the quality of locally manufactured products. The event includes a test drive track by KIA and many vehicles are revealing by new companies, including KIA and Changan, while Suzuki will unveiled the first ever locally manufactured Suzuki Alto 660cc. Other exhibiting OEMs include Toyota, Honda and others. 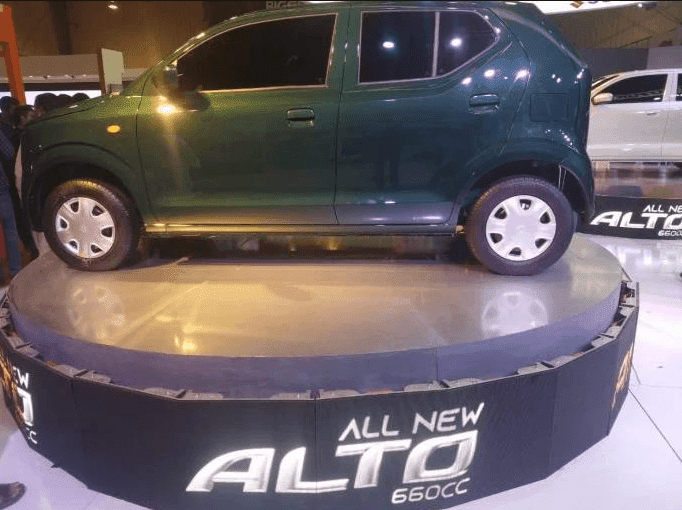 Pak Suzuki Motor has unveiled its first ever locally manufactured Suzuki Alto 660cc engine capacity vehicle at the Pakistan Auto Parts Show (PAPS) 2019. Last year company hinted that it will launch Suzuki Alto 2019. 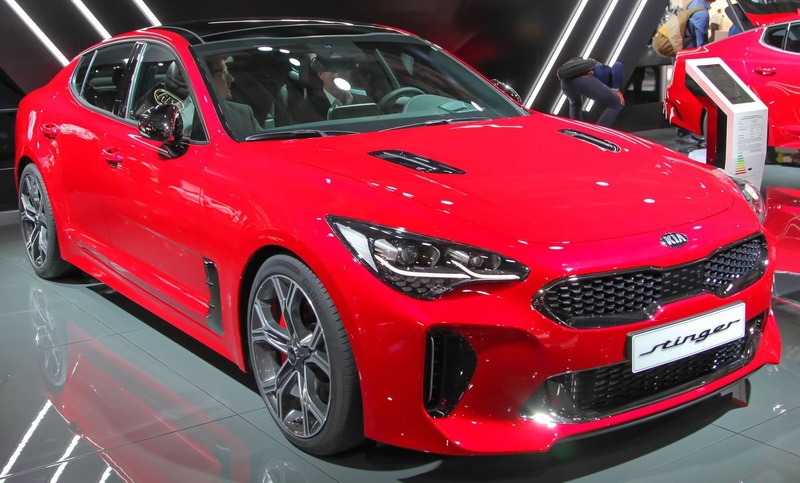 Korean automaker Kia has unveiled several cars at PAPS 2019. These include Stinger, Picanto, Sportage, Carnival and Niro. A high-performance sports saloon from the Korean automaker.It has a 3.3L Twin Turbo GDI engine and produces around 365HP. However, this performance package will probably not be available for Pakistan and we might just get 2.0L Turbo GDI with a 255HP. Kia Picanto also comes in imported variants. A 5-door hatchback with 1,000cc engine. 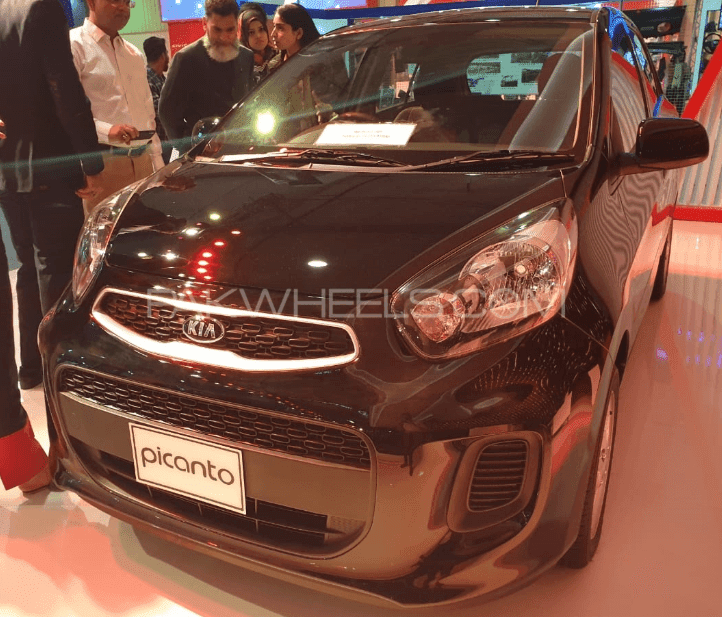 It will compete with Suzuki Cultus and Wagon R. KIA Picanto is equipped with an incline 3-cylinders 1.0 MPI engine, with engine displacement of 998cc and produces max torque of 9.6/3,500 and max power of 69/6,200. A compact SUV. 4th and the latest generation Kia Sportage which was launched at the end of 2015 and is still in production. Korean automaker Kia is working with Yunus Brothers to launch the cars in the local automaker industry. Kia has launched the Grand Carnival in Pakistan in collaboration with its local partner Yunus Brothers Group under the brand name Kia Lucky Motors, Pakistan. A multi-seater luxurious vehicle was launched on June 1st, 2018.It was introduced in both petrol and diesel variant; however, in Pakistan, the company has launched the petrol variant first. 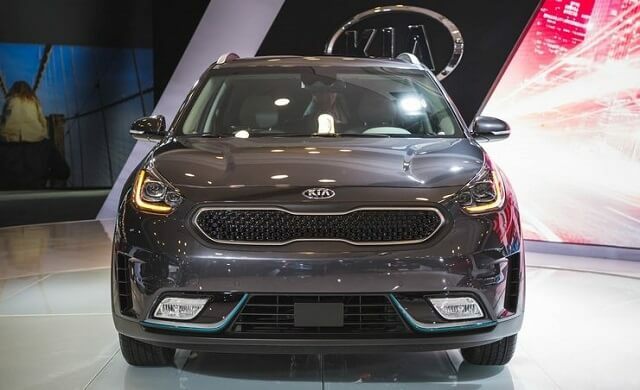 The Kia Niro is a hybrid subcompact crossover manufactured by Kia Motors since 2016. It is equipped with a 1.6 GDI engine paired with a 1.56 kWh battery along with the electric motor. It has a dual-clutch transmission with level-2 assistance features. Changan also displayed its cars in Pakistan Auto Parts Show 2019 for the Pakistani market. An environmentally friendly urban MPV. It has 1.5L turbocharged DVVT engine, which produces maximum of 115kw at 5500 rpm. Other features include 16”wheels, 7”LCD instrumental penal, panoramic sunroof, seat heater, stability control, parking sensors, blind spot monitor, eco idol, cruise control, steering control, etc. It comes with 6 air bags. A 7-seater SUV powered by a 1.5L “BlueCore” turbocharged and direct-injected inline-4 engine that puts out 147 HP and 230 Nm of torque. It has 6-speed automatic transmission. It offers 6-leather seats, sunroof, cruise control, vehicle stability control, and blind spot monitor, etc. It offers a dashcam, which is a unique safety feature. A 7-seater passenger vehicle. It comes with chrome exterior, projector headlamps, etc. Karvaan comes with dual AC. Its ex-factory price is Rs.1,080,000. It can be booked at Rs.200,000. Both SUV is not being launched as of now, but will soon be.